Ranging in size from .75–5.5 fl oz, squeeze tube packaging is available to accommodate need for private label packaging for silicones, latex, and an anti-oxidant grease compound that serves electrical industry.Â Machine fills metal, plastic, and plastic laminate squeeze tubes with precision at speeds up to 45 tubes/min. 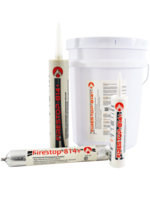 As packaging alternative to caulk tube cartridges, cups, and bottles, squeeze tubes let user apply caulk or sealant without caulk gun. WINSTON-SALEM, N.C. – Due to increased demand for private label packaging for silicones, latex, and an anti-oxidant grease compound that serves the electrical industry, Everkem Diversified Products announces new squeeze tube packaging capabilities. Ranging from sizes as small as .75 Fl. Oz. to 5.5 Fl. 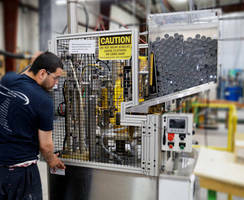 Oz., Everkem’s new high speed squeeze tube filling machine fills metal, plastic, and plastic laminate squeeze tubes with high speed precision at speeds up to forty five tubes per minute. 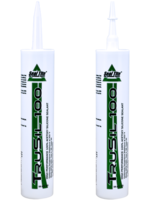 Squeeze tubes are an economical and convenient packaging alternative to caulk tube cartridges, cups, and bottles because they reduce waste by enabling the installer to purchase just the right amount of product for their job and allow the user to apply the caulk or sealant without the need for a caulk gun. Squeeze tubes also make an excellent point of purchase item for wholesalers, offer a long shelf life, and are a common necessity for the maintenance, remodeling, and repair professional. “Keep a watchful eye on our Seal Tite Product Line for our upcoming latex and silicone squeeze tube products to serve the plumbing, retail, DIY, maintenance and contractor supply markets and our Oxide Inhibitor grease compound serving the electrical industry,” Jason Lynch added.